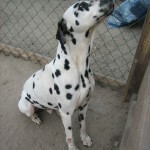 We have advertised Paca, the neglected Dalmatian male, since August 2011 as a mediated dog to be rehomed. 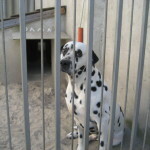 He has spent half of his life locked up in a kennel, which turned him into a shy, reserved and groaning dog. 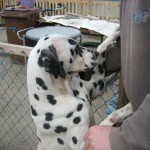 His carers could no longer take care of him therefore we took him under our wings in March 2012. 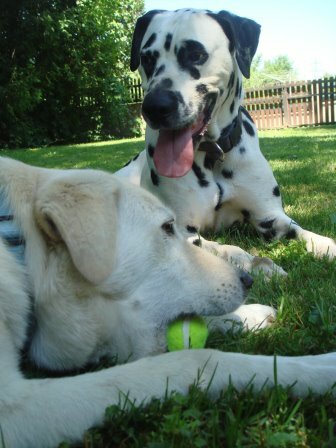 He was allowed to meet friendly dogs and be in contact with people in his foster home and he had the possibility to move freely in the garden. Step-by-step he learnt to trust his foster family and even assisted them building a fence for their ducks. A few candidates asked about him but none of them proved to be ideal. 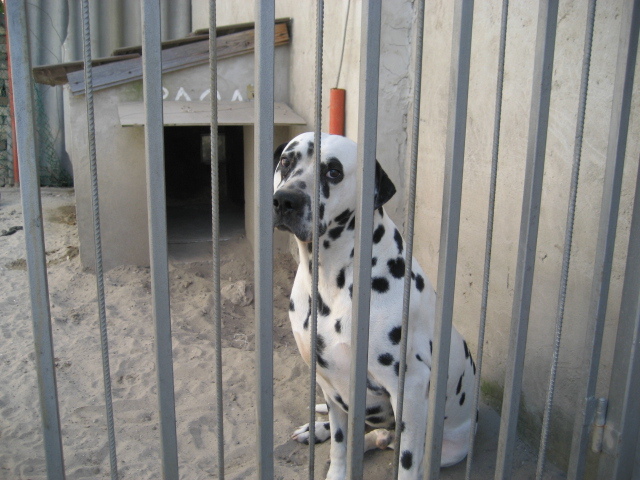 In June 2012 we asked for the help of foreign Dalmatian rescue organizations. 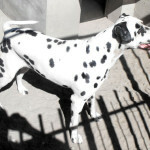 The Notfall-Dalmatinerrettung from Germany offered to take him in. Now, an experienced volunteer fosters him and gives him every chance to develop further. Due to his inborn deafness Paca needs special treatment. Although we advertised him on several forums, none of his candidates proved to be ideal for his circumstances. 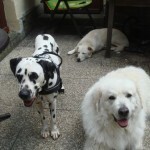 With the help of the German Dalmatian rescuers Paca travelled to Austria in the middle of June. 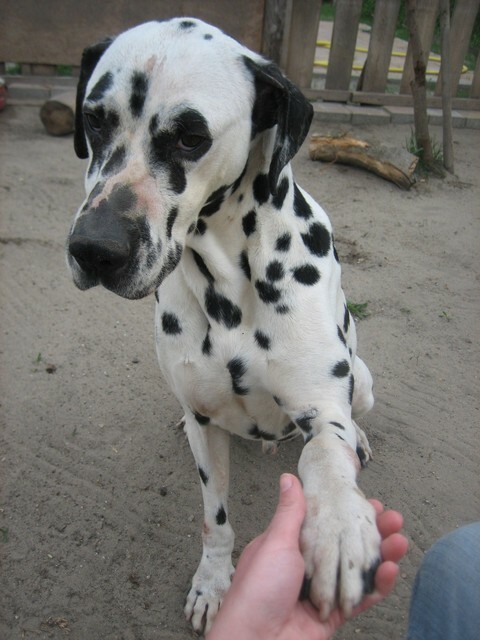 He moved into the home of a nice couple, who are experienced in fostering deaf dogs, too. According to the descriptions and photos we have received so far, Paca adapted to his new environment quite fast and made friends with his fosterer’s female dog. Orientation in the flat confused him a little bit in the beginning, but he got used to his new home day-by-day. He behaves very well inside and it turned out that he is housebroken, as well. Having a shower is also okay for him. Paca has already learnt that the leash means great walks, which helps him get used to the sight and rules of living in town. 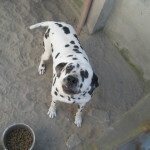 Soon after his „migration” he travelled to the countryside with his foster family. No wonder that he goes to bed tired after rioting in the countless experiences offered by the spacious garden and the long waks in the vast land. We are glad that Paca feels good in his foster home, since it gives him the possibility to develop further on the way we had set him on a few months ago. We truly hope that it’ll take only a short time for his dream family to arrive! 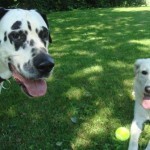 A promising couple applied for Paca a few weeks ago. We have talked a lot about his adoption and their good intent to provide him a loving home was clearly shown. 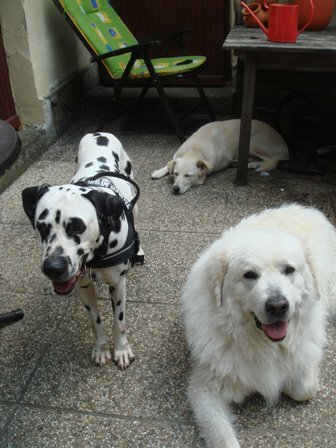 Last Friday they made a long journey to visit him, but Paca didn’t get along with their two male dogs. 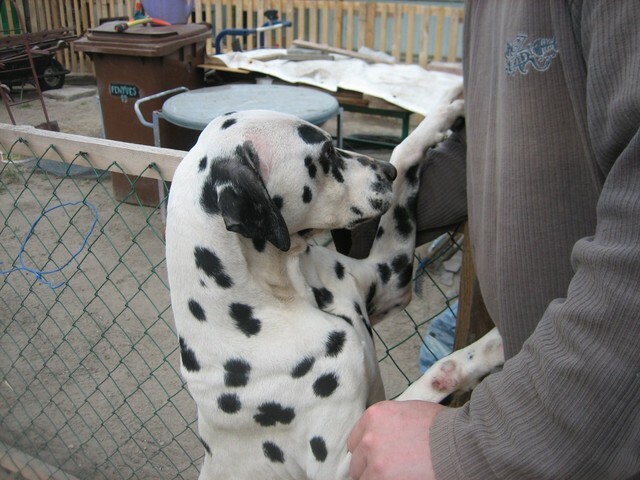 Now, the spotted pal is still looking for a family, who would adopt him as a single dog or as a second dog to a friendly female. 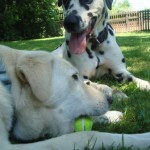 A hearing four-legged company could be a huge help for him in order to cope with his new environment. Paca can’t wait to find someone who would care for him until the very last day of his life. He has gone through a lot, has suffered from loneliness for years. He craves for love and security more than anything. For more information about Paca, please write to info@dalmatamentes.hu (PACA) or call +36303457051. 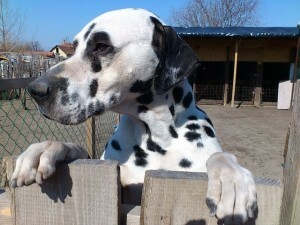 Paca, the beautiful Dalmatian male arrived into our care in March 2012. We rescued him from euthanasia and so he was given a new chance for a happier and better life. One of our team members visited him last Friday in his foster home. After the initial distrust they made friends and Paca welcomed her happily. 07.03.2012. 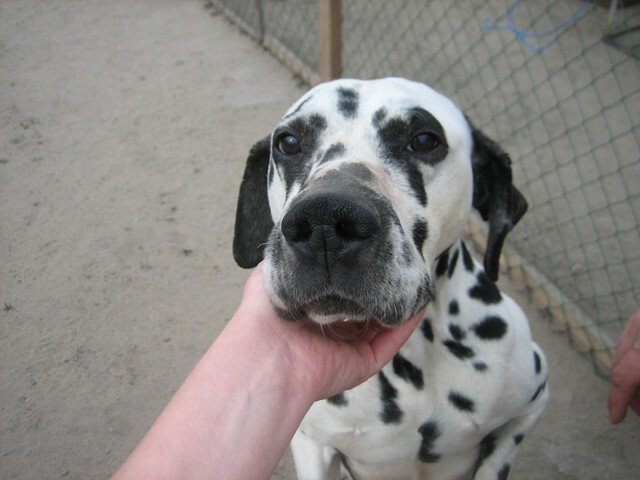 – Paca, the 6 year-old purebred Dalmatian male needs a sweet home! 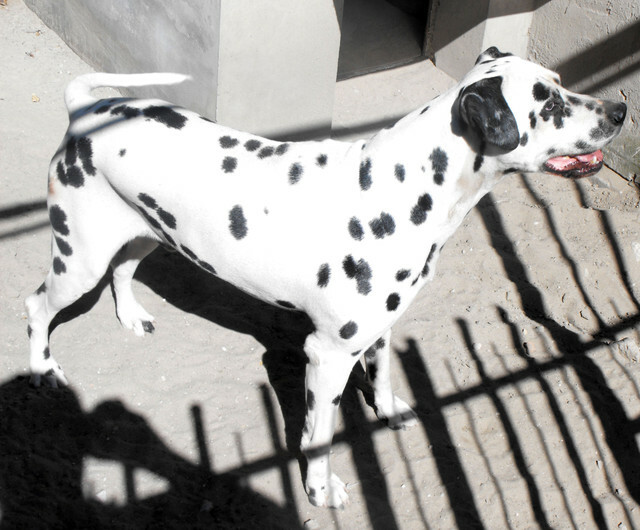 His owner moved abroad and he left Paca at his house. 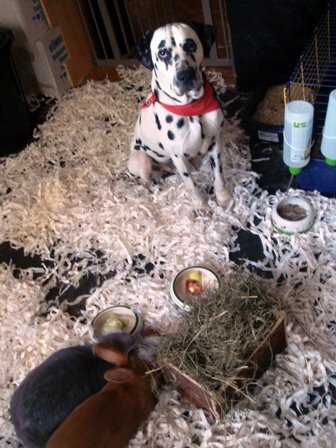 The renters fed him but they had no time to deal with him. 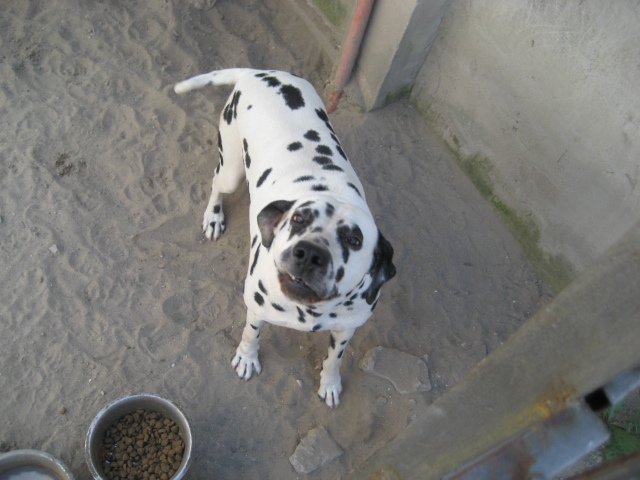 Paca spent his days in his smaller kennel without physical exercise and outer stimuli. We took over him in March 2012 before he could have been euthanised. We placed him in a foster home in Kiskőrös, where he can move freely in a bigger yard and he is allowed to meet other dogs. 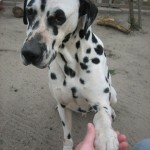 Paca is a special dog as he was born deaf. He understands hand signs and he remembers these after years of no practice. He sits down, goes to his place and gives hiw paw. He lived closed in a kennel for years therefore he is relatively distrustful with new stimuli. When something unusual happens he tends to hide in his snug and it is quite hard to make him come out of it. Due to the lack of physical exercise he has a weak musculature and there are several pressure sores on his body from lying too long. These need to be treated. 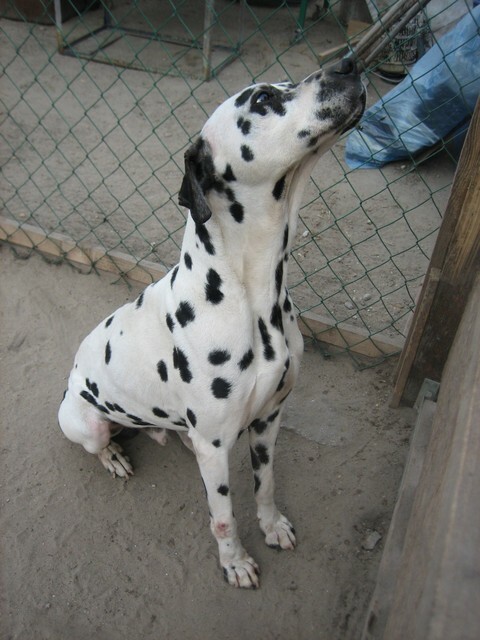 Paca is a reserved dog, distrustful with strangers in the beginning. Over the past weeks he built up strong bond with his carer, at the moment he is the only one Paca trusts. He needs more time to ease up with people. Otherwise he is friendly and longs for human company. 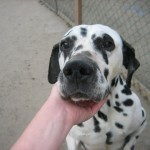 Due to his deafness he pays a lot more attention to people and uses his nose very well. Loves running and playing with a ball. Has no problem travelling by car. 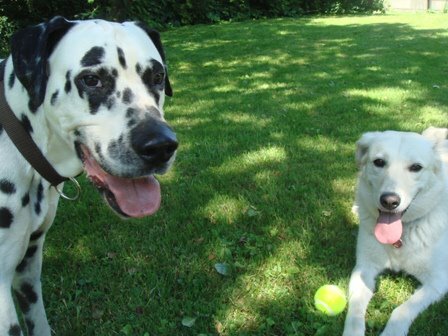 It might be helpful if Paca had a dog friend to whom he can pay attention during the walks and other programs. Recommended as a second dog to a female company or as a single dog. Not recommended for families with children. Paca needs an assertive and impatient owner who leaves him enough time to open up and gives him security and stability in his life. Paca has a pedigree, vaccinations and a microchip. Adoptable after neutreing. 28.02.2012. 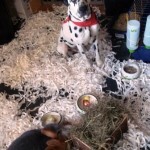 – Paca needs a FOSTERHOME SOS!